Keeping up with the latest tech trends can be exhausting for business leaders in any industry. In 2018 alone, headlines have been dominated by blockchain, artificial intelligence, and machine learning. To further complicate matters, many of these transformative technologies are paving the way for a new digital era that is often referred to as Web 3.0. Confused? You are not alone, but it’s not as complicated or as daunting as you may think. The internet has evolved dramatically since Tim Berners-Lee’s vision of world wide web in 1989. During the Web 1.0 days, the ability to create content and distribute to a global audience was no longer restricted to a handful of powerful publishing companies. These early steps mainly consisted of static websites connected by hyperlinks. We began consuming content, but a dial-up connection meant that we would have to wait a little longer for a truly interactive internet. By contrast, the arrival of high-speed internet connection ushered in a new era of social media and interaction. Before we can look to the future, we need to understand our past and where we are right now. YouTube is approaching two billion users. There are over 400 million blogs and 300 thousand podcasts. We can all broadcast our authentic voice and share our ideas with the global community from the smartphone in our pocket. But this is just the beginning. Suddenly our lifestyle and business landscape look completely different. Alibaba doesn’t even carry stock, Uber doesn’t own any cars, and Airbnb does not have any real estate. The sharing economy has forced many businesses to disrupt themselves before a competitor does it for them. But what transformative changes will Web 3.0 bring, and what can companies do to prepare and avoid getting left behind? 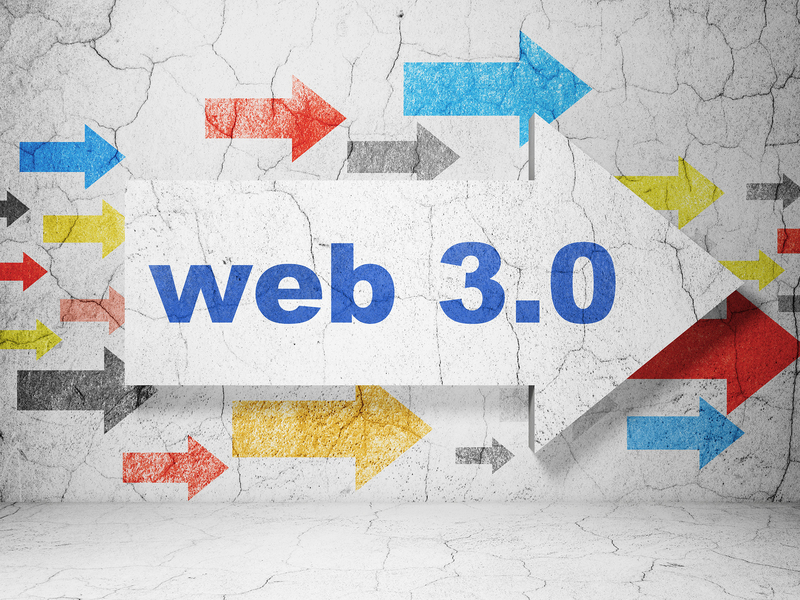 The concept of Web 3.0 is older than many people realize. John Markoff from the New York Times reported back in 2006 that it would be the next evolution of the internet. Sure, we are already creating, consuming and interacting with an unprecedented amount of online information, but you don’t need to look too far to learn which direction we are heading next. We can already use our voice to manage our home lighting, heating, and entertainment. The ubiquitous Internet of Things (IoT) is filling our homes with devices that all are permanently connected to the internet. Remember when your home network consisted of a couple of laptops, tablets, and smartphones? You can now add your toaster, refrigerator, TV, cooker, thermostat and light switch to that continuously growing list of always connected devices. What does this mean for businesses? The lines between B2C or B2B are beginning to blur. Millennials and GenZ workers are taking their lifestyle expectations into corporate environments and asking why they cannot enjoy the same seamless experiences. Welcome to the world where technology is bringing us closer together. This brave new world and promised land also provides a few challenges. The inconvenient truth facing many businesses is that their infrastructure cannot support where they want to be without significant investment. There is also an increasing realization about the cybersecurity implications of connecting everything to the internet. One of the biggest challenges facing businesses at the moment is finding a unified way to make sense of the deluge of data across a myriad of devices and applications. This is where Web 3.0 and the impending arrival of the semantic web could provide the game-changing moment. If we look back and join up the dots, we can see that the digital landscape has evolved from the creation of documents in Web 1.0 to a focus on data in Web 3.0. A new framework fit a digital age where data can be seamlessly shared and reused across applications, enterprise, and community boundaries from a myriad of devices is our next destination. The days of Googling something and wading through search results to find the information that you need will disappear sooner than many realize. Once users experience personalized results on the right device at the right time, it will become the standard. But, what if your business cannot meet this standard? We are already experiencing some elements of this now. Our smartphones can increase efficiency and productivity by seamlessly providing traffic information, schedule meetings and even warm our home when we leave the office. When automatic recommendations become the norm, businesses must step up and meet this new standard or run the risk of appearing irrelevant. Somewhere along the way many businesses lost their way and foolishly opted for the shortcut to winning the race for customer loyalty. An online world of fake reviews and manipulated search results has unwittingly paved the way for a new era of trust and transparency. The emergence of blockchain technology is an excellent example of how new smart contracts can eradicate trust issues once and for all. Online users and their insatiable thirst for instant gratification will probably not notice the transition from Web 2.0 to 3.0. On the surface, everything will look the same. But under the hood, is where businesses will be making huge changes to adapt to a new era where decentralized apps become the norm. If we go back to the nineties, there is a long list of household names that were too big to fail. Blockbuster Video, Kodak, Friends Reunited, MySpace and AOL are just a few examples that experienced a dramatic fall from grace. Here in 2018, Web 3.0 might be in its infancy, but by learning lessons from our digital past, we know where this road will take us. We already know that customer data is scattered across a myriad of screenless IoT devices. In a post-Cambridge Analytica world, there is a thirst for a change of how we manage and share our personal information. Could we be about to witness another shift away from traditional centralized businesses towards new decentralized services? And if we are, what can business do to prepare for this new era? Web 3.0 looks likely to prove a game changer in industries such as the insurance and banking sectors that are littered with inefficiencies and intermediaries that provide little in terms of value. These are just a few reasons why we are passionate about helping businesses during this transition to help generate revenue and growth by developing, owning, and delivering proprietary technology. As trust and transparency become the new currency, it’s these new exciting tools that provide a future platform for tomorrow’s financial services. U.S. based Web3 software development company.